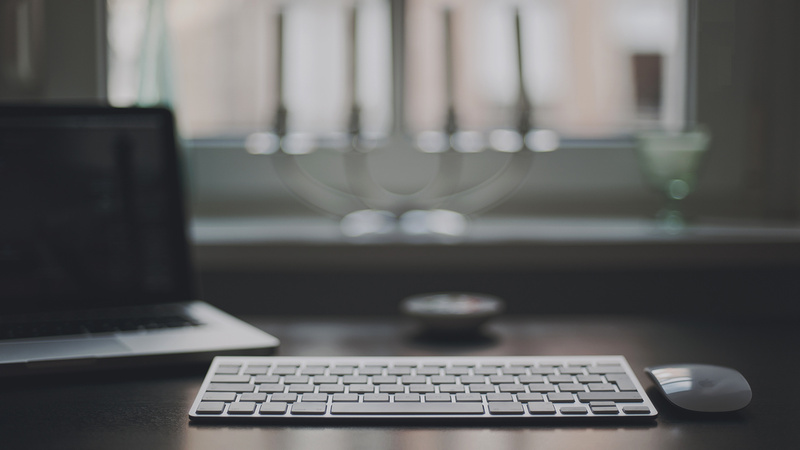 Agentpoint Facebook Application pull content from your website onto your business page. The application acts like a mini website to showcase your brand, current and sold stock, staff profiles, news, opens, and more. We offer 3 standard applications that are added as tabs under the profile picture. These tabs can be hidden and rearranged and add huge value toy your page for both property seekers and vendors. Welcome Tab – Branded page which can display a company video, main image, corporate profile, contact details and links to your other apps. Properties Tab – Displays any type of property listing grouped by type (Residential Sale, Residential Lease, Commercial, Business, Holiday) along with Open Times, Auctions, Sold and Leased listings. Also, includes a refine search tool. Staff Tab – Displays your staff team members including each members contact details, profile, current listings, sold listings, testimonials and videos. Click on images for live sample. If you do not already have a Facebook business page then included in our setup fee we will create this for you and place a link to it from your website. Easy Data Integration – Your properties are seamlessly integrated into your Facebook business page through XML data feeds from your existing CMS provider. 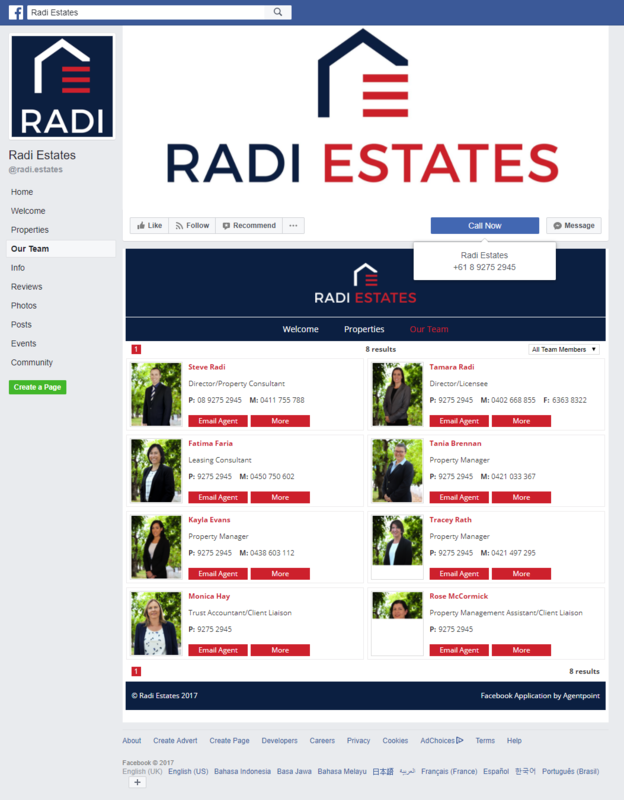 Facebook Like Button – You will see a Facebook Like button for each property within the search results application along with the property page. This allows Facebook users to Like properties which will then be viewed by their family and friends on their personal Facebook timeline. 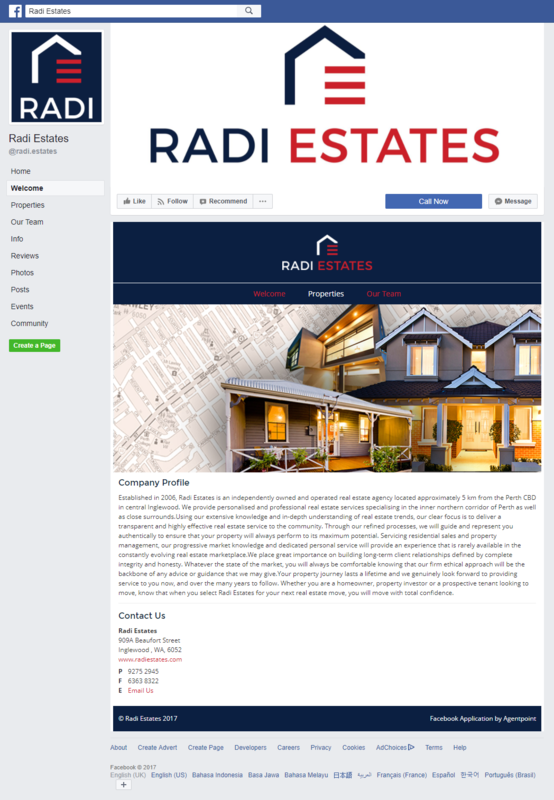 Facebook Share Option – You will see a Facebook Share button for each property within the search results pages along with the property page. This allows Facebook users to Share properties with their family and friends. Facebook Comments – Facebook browsers have the option to leave a comment in relation to a property. Comments they post are then automatically added to their Facebook wall meaning their friends and family will view the comment and listing. Locked Content Walls – We can set the apps so only the content can be viewed after the user has Liked your page. This means they will be updated about content you post on Facebook and it also means their friends can see this content. Property Shortlist – Users of your applications can save properties as favourites meaning next time they visit your Facebook page they can view properties they previously saved. Personally Styled Applications – Not only will the applications be adjusted to be styled like your brand we will also create application tiles (viewed on your Facebook timeline) that are specific to your brand. Capture User Contact Details – All our Facebook applications are configured with Facebook web forms which users fill in to contact you. You will never miss an enquiry again as all the data submitted through forms are emailed directly to the agent along with being saved in your Facebook application website database. Monitor Facebook Page Browsers – Keep track of the number of users who browse your Facebook business page. All Facebook applications are installed with analytics to measure the number of page views they each receive along with the number of page views for each property.